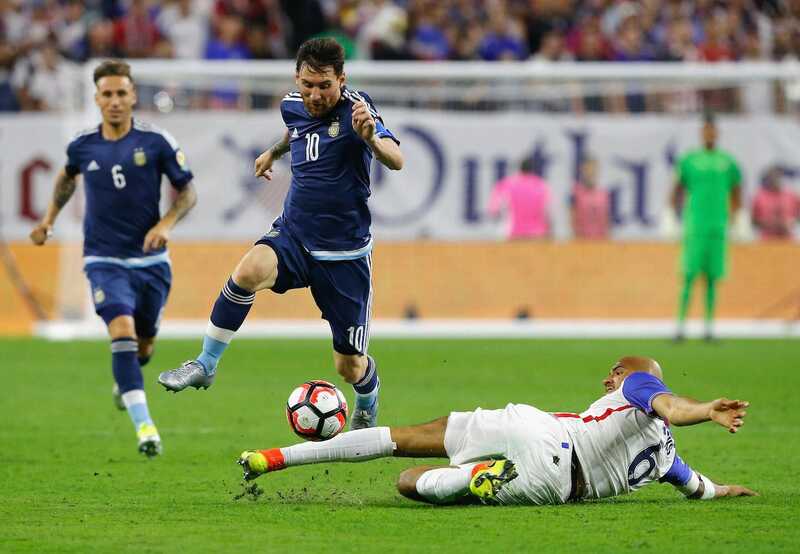 A far superior Argentina side systematically dismantled the U.S. men’s national team on Monday night in Houston, winning 4-0 in a Copa America semifinal that wasn’t even that close. In just the fourth minute, Lionel Messi found Ezequiel Lavezzi’s head on a poorly defended short-corner to put the visitors on the board, and from there they never looked back. Messi doubled the score later in the half with a world-class free kick, and Gonzalo Higuain added two second half goals to wrap up the scoring. The USMNT, meanwhile, logged a total of zero shots over the entire 90 minutes. And not just zero shots on goal. They didn’t have a single shot. It’s one thing to sit back and park the bus against the world’s best player and FIFA’s top-ranked team. Teams do this all the time, as we saw the USMNT do from the opening whistle. They conceded 68% possession and allowed Argentina 844 touches and 622 completed passes, as compared to their 461 touches and 253 passes (per ESPN). But if you are going to go this route, willingly conceding nearly 70% possession to a team as talented as Argentina, when you do win the ball you have to break out quickly in the counterattack and create your chances against the run of play. The USMNT could barely pass out of their own half. It was a match that from the opening whistle felt like an intimidated J.V. team scrimmaging against the varsity. Just about every stat epitomizes the rout, but none more so than zero shot attempts. Simply put, you can’t win when you don’t shoot.